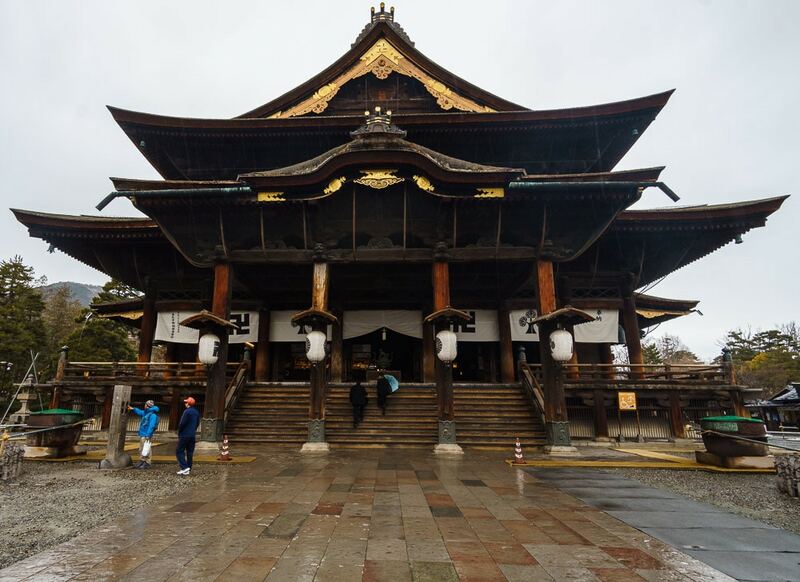 Located about 90 minutes by bus, train, or car from Nagano, and situation at the base of Mount Kenashi, Nozawa Onsen is a small mountain town with a population of about 3,500-5000 people in the Nagano Prefecture. The town famous for its onsens/soto-yu, or hot springs, for which it is named. There are over 30 different hot springs in the town, and 14 that are open to the public. This means that after each long day on the ski hill, you can soak your bones in a different onsen. 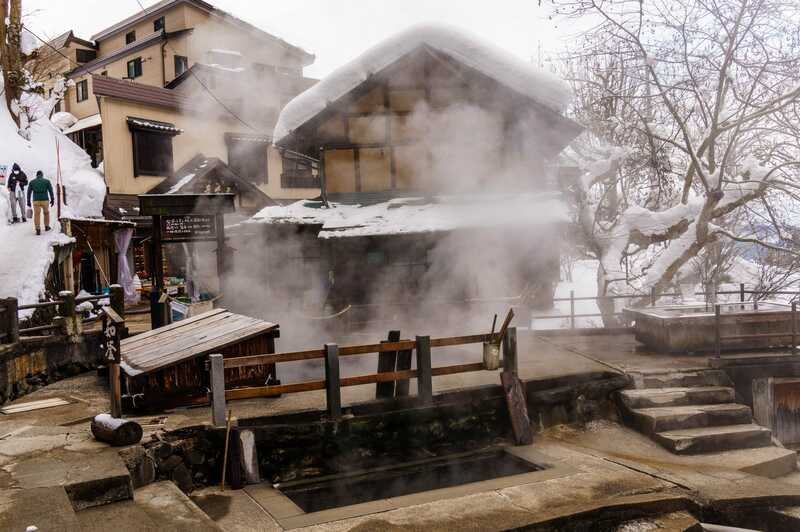 Each of the onsens have their own unique properties, such as different temperatures, structures, and some are said to have healing properties. Many simply look like a smaller version of a public swimming pool but a few are made of wood in the traditional Japanese-building style, which makes for a truly unique soaking experience. Be sure to be considerate when sharing this experience with the locals. 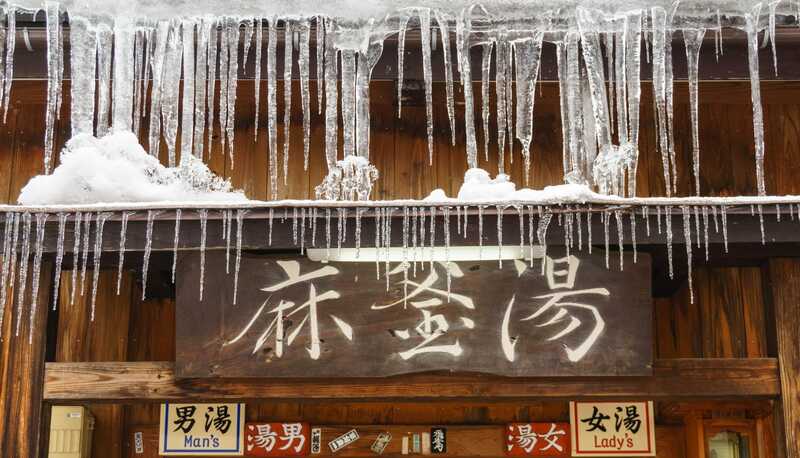 Soto-yu culture is deeply ingrained in Nozawa Onsen’s citizens and they are happy to share it with you so long as you soak respectfully. That means among other things, soaking nekkid, cleaning up after yourself, not speaking too loudly, and covering up any tattoos if you have them. Below is a helpful guide to assist you in navigating the proper soto-yu procedure. Along that moisture belt that makes Japanese skiing famous, Nozawa Onsen is equally known for its ski resort of the same name. Some sources claim that the village gets the most snow in the Nagano Prefecture and while it won’t take you take you as high as the Japanese Alps in Hakuba, it will send you deep into fluffy powder. The best runs for intermediate to advanced skiers are off the left of the top chair. We found a nice little powder stash on the way to the chair that few people seemed to touch. Once we discovered it, we were able to do laps on it for the better part of a morning getting freshies each time before other people started to show up. This area was even more exceptionally fun to ski on the day the mountain received 25cm of snow overnight! Bluebird day at Nozawa Onsen – we were too busy skiing on the powder day for photos! Other notable runs include the leg-burning skyline run that takes you from one end of the mountain to another and then down to the base of the mountain. It is spectacular on a bluebird day. The last run of the day! 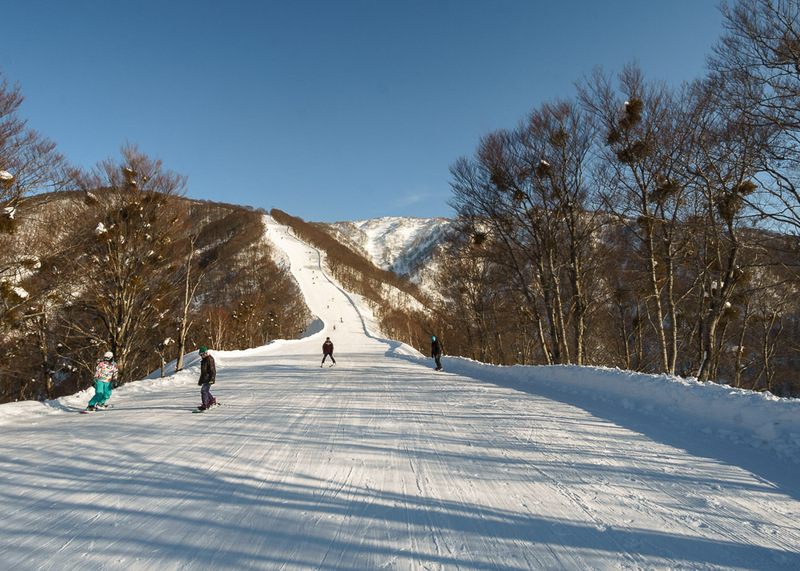 The great thing about Nozawa Onsen resort is that the terrain is so varied that you can send families and beginners to one area, intermediates and advanced skiers to others, and easily meet up with each other on the same slope for lunch. Most places require you to ski down to the very bottom to accomplish that feat but the intermediate terrain near the middle of the mountain turns into beginner terrain with a good selection of restaurants where people can meet. The ski hill is also extremely safe, especially if you’re used to skiing in the Rockies like we are, and only had one real cliff which is well marked. The tree powder stash area we mentioned earlier has some deep ditches that you could get stuck in if you’re not paying attention, but that’s about the extent of any trouble you could run into. That is, unless you decide to duck the ropes, which is not just frowned upon, it’s illegal in Japan and could put you and others at risk, as well as on the wrong side of the law. Japanese officials won’t risk the lives of their employees to rescue you if you run into trouble off piste. And if caught skiing out of bounds, you won’t just have your lift pass revoked for the day, you could face criminal endangerment charges, so stay on piste in Japan unless you’re in a clearly marked backcountry area and have the proper equipment with you. Getting to Nozawa Onsen from the Narita International Airport isn’t as straight forward as other destinations, but like most journeys throughout Japan, it is still fairly easy. After our punishing 16 hour flight from Canada, we knew our brains would be completely checked out so we booked a Chuo taxi from the airport directly to our hotel in Nozawa Onsen. This was a pricey option, but so easy after a long haul flight that arrived in the evening after dark. It took about 4 hours with some stops for bio breaks and snacks. Other options include taking a non-Shinkansen train to Nagano, then transferring to the Iyama Line. Once in Iyama, you can then take a short busride to Nozawa Onsen. There also may be buses directly from Nagano. This is probably the most flexible option as there will be multiple departures throughout the day, so if you arrive early and want to get to Nozawa Onsen on a budget, this is one of the best ways. There are also bullet trains from Narita to Iyama as well, but they have far fewer departure times, so this way may not be the best unless you have a JR Pass or JR East Pass burning a hole in your pocket. Consult the Hyperdia site or app for the most up to date scheduling information. These transit options may seem intimidating, with multiple transfers and switching train lines, but they are pretty straightforward. Train stations have very clear signs, electronic ticket booths that can be switched to English, and there are usually people who are happy to help you get where you’re going as long as you ask politely. This is Japan after all. One last option is the Nagano Snow Shuttle. We used it to get from Nozawa Onsen to Hakuba Valley but it too has limited departures from Narita so we couldn’t use it on the initial trip out. To get from Hakuba back to Tokyo, we booked a ride on the Willer Express bus that dropped us off at the Shinjuku station. While Japan is famous for its fast and efficient trains, we found that the buses were great options for getting around too. The seats are very comfortable, they run like clockwork just like the trains, and they are good value options. It is best to book them as far ahead of time as possible since they do sell out. As for carrying our clunky ski gear everywhere, we were worried about schlepping our skis and gear through transit, but it was actually pretty easy. We use this gear bag to fit our skis, poles, and ski clothes, and this one for our boots, goggles, gloves and helmets. We pack our ski clothes around the bindings to protect them and despite accommodating Mr. Zen’s super long powder planks, the bag has wheels so it is remarkably manoeuvrable. As long as you’re not trying to take your ski bag through Shibuya station during rush hour, you should be fine getting your gear through transit. If you’re still not sure about being burdened with your ski bags while travelling through Japan, another service that is remarkably helpful and ubiquitous in the south island anyway is the Yamato Transport Co. Ltd. delivery service. You will see the vans all over Japan, with their adorable logo that shows a mama cat holding her baby in her mouth. This service will take your bags from your hotel in Hakuba or Nozawa Onsen and bring them to the Narita airport, or even your hotel in Tokyo. We simply asked the front desk at our awesome BnB in Hakuba, and our ski bag and two boot bags were sent to Narita to be held for a few days while we toured around Tokyo, all for a reasonable price of around $50 USD. It might not be the best option if your flight is the next day, but if you can wait at most 48 hours for your bags to arrive at the airport, it’s a nice way to literally take a load off while travelling through Japan! We loved the service and would definitely use it again. 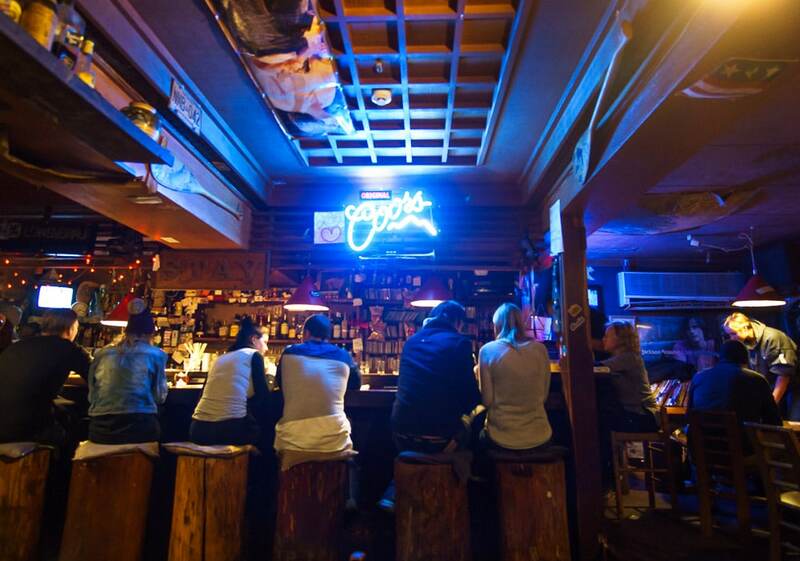 Once in Nozawa Onsen, things become blissfully easy. The ski hill can reached by foot or by taking the public shuttle that stops at various places around town. We recommend heading to the visitor centre in the middle of town at the beginning of your trip as they will give you excellent advice about the shuttle and bus schedules. Of course if you’re returning from the ski hill and you ask a local for directions, they may just flag down a passing truck and request that you’re given a lift in the box directly to your hotel. Nozawa Onsenites are amazing like that! The town as a whole is small and easily walkable. Just be careful to watch out for falling snow, since the locals often clear off their roofs by shovelling snow directly into the street below. A local told us that at least one person dies every year from having a big dump of snow fall on their heads, so many people put out signs warning you to look up as the work. In addition to being extremely walkable, Nozawa Onsen also provides easy access to nearby attractions in the Nagano Prefecture, such as the Zenkoji temple in Nagano that was founded in the 7th Century, and which features a lucky wooden Buddha that you may rub for good fortune, as well as a darkened, underground passageway that is said to contain the “key to paradise.” It can be reached via a short, 20 minute bus ride to Iyama and then an approximately one hour train ride from there. 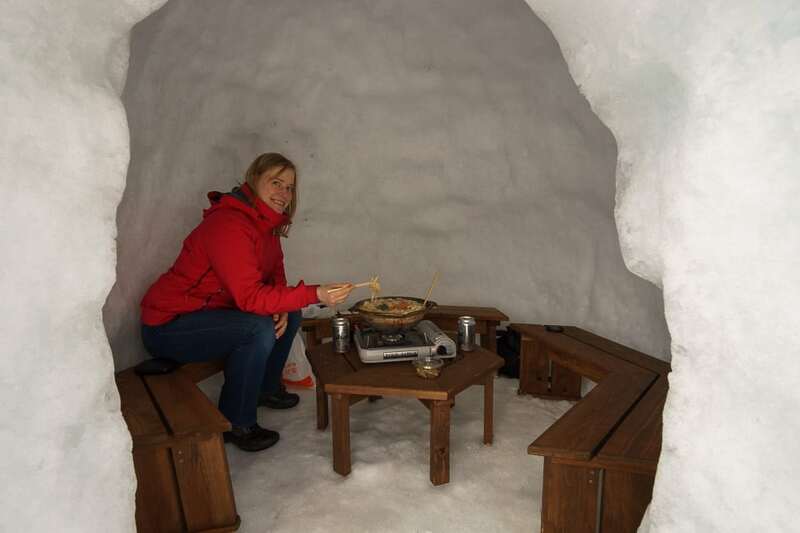 Also nearby is the Kamakura Snow Hut Village where you can get a steaming bowl of traditional Japanese hot pot served in an igloo-like structure. It can be reached by taking the bus to Iyama and then transferring to another bus, or by a rather expensive taxi-ride. We learned about the transit option after the fact sadly, which is another reason why we recommend talking to the visitor centre about your travel plans, they can save you lots of money! Japanese hot pot in a snow hut, definitely a unique experience! By far our favourite excursion in the Nagano Prefecture was the trip we took to the Jigokudani Snow Monkey Park. 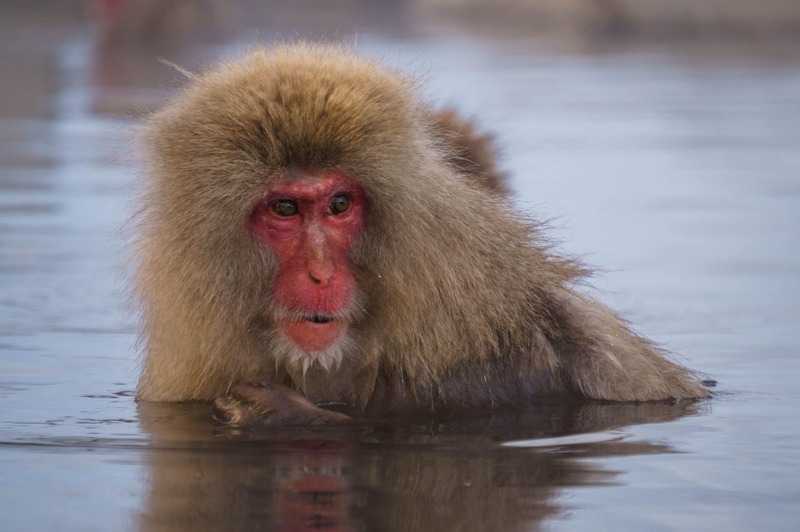 There you will find a peaceful natural area where you can watch hundreds of wild snow monkeys soak in the local hot spring. They aren’t overly afraid of humans, so they you will be able to get a very good look at them. It was absolutely amazing to see them frolicking in the snow and relaxing the the onsen. Don’t forget your camera and be careful of carrying any food in. We saw one guy get his bag of chips snatched directly from his hands! In the winter months, between December and April, there is a direct bus that leaves twice a day from Nozawa Onsen to the Snow Monkey Park. Otherwise, you can look for a bus from the Iyama station or take the Nagaden Express Bus from the Nagano train station. Again, the people at the visitor centre can help you with bus and train schedules. Once there, you will have a 20 minute walk along a nature path to where the monkeys are hanging out. The park closes at 4pm so make sure you plan for that too. As for restaurants in Nozawa Onsen, most are accessible by foot and many of the guest houses that you might stay in have a restaurant on site. For example, we stayed at Resort In Toemu which was a nice budget option that had a good restaurant onsite. It specialises mostly in local fare, and if you have your heart set on a particular dinner there, I would recommend getting there early as some of the dishes sold out quickly. For example, their sushi platter is delicious, but kept selling out within the first hour of dinner hours opening. Which wasn’t necessarily the worst thing, because it forced us to have to try some new and tasty dishes. 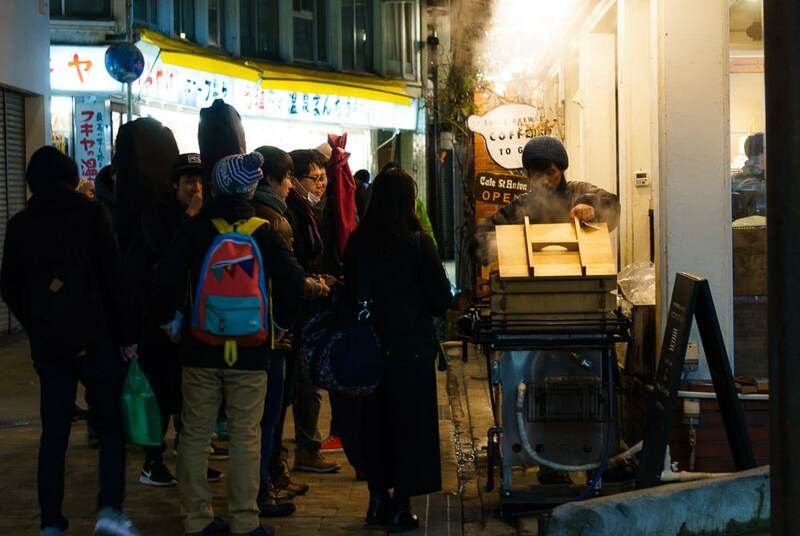 Other eats not to miss are the delicious oyaki, which are hotspring-water-steamed buns that are often filled with nozawana, a local broccoli-type vegetable that is the mascot of the town and ski resort. No need to research the best oyaki vendor, just look for the one with the biggest lineup and order from there. Another local speciality is an onsen tamago, or an egg that has been soft poached in hot spring water. Many vendors sell these, or you can poach one yourself. 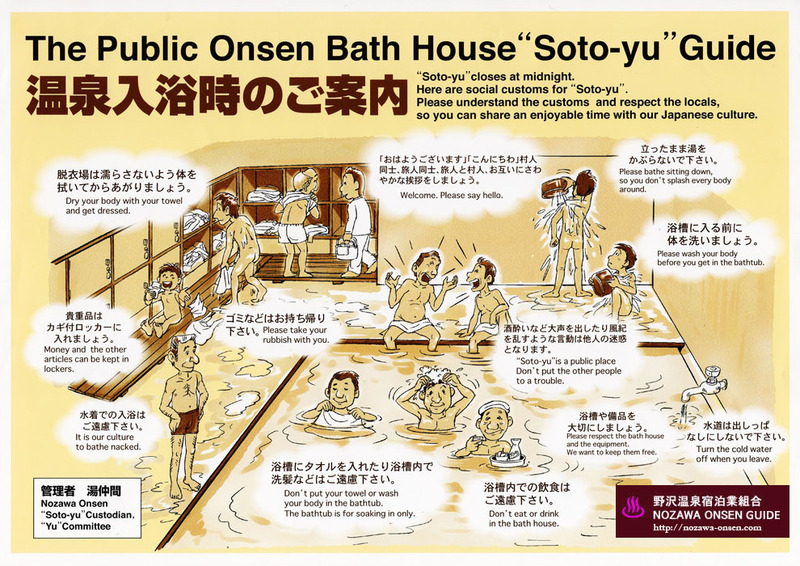 Just be sure to ask which of the “kitchen onsens” are open to the public as some are not. If you’re craving more of a taste from home with a Japanese twist, try the Stay Bar which features western food like burgers, but also has an impressive selection of bourbons and Japanese whiskeys. It was there that we fell in love with the Hibiki Japanese Harmony whiskey which eventually came home with us. Overall, there are places to eat that will appeal to most tastes and budgets, and even if it is a predominantly Japanese restaurant, we found that most had a picture menu so you could simply point and order. The ski hill had plenty of choices and we were able to find delicious sushi, ramen from a vending machine, and soup curry. Whatever you end up choosing, you will not go hungry in Nozawa Onsen! Nozawa Onsen does not have many big chain hotels which is rather refreshing. Instead most accommodations are smaller, family-run guesthouses or ryokans. We stayed at Resort in Toemu which was a great budget option with larger than average (by Japanese standards) comfortable rooms, a great onsite restaurant, a sizzling hot onsen that very few people used so I often got it to myself, is centrally-located within Nozawa Onsen, and is just a few minutes walk from the bus station and restaurants, and about a 10 minute walk from the ski hill. It also features a well-stocked vending machine, which in case you’re not aware, vending machines in Japan often stock cold beer and hot coffee, and a wide selection of snacks, so they are much more useful than their North American counterparts for example. Lastly, it is run by an extremely nice family and has an authentic Japanese feel. We would gladly stay there again. 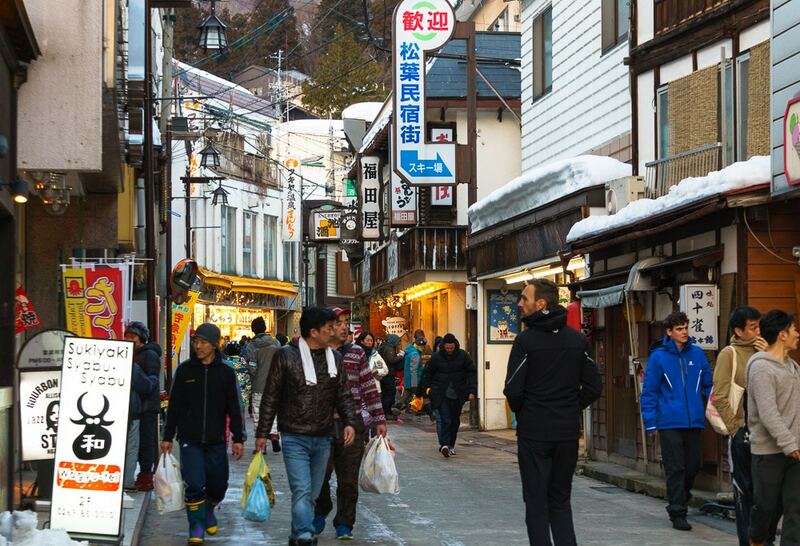 The streets of Nozawa Onsen. 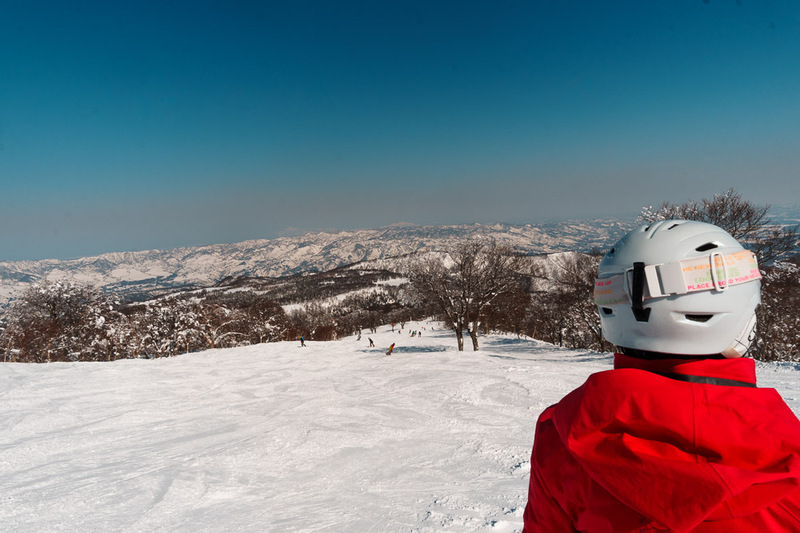 To summarize, Nozawa Onsen offers world-class skiing in an authentic Japanese mountain town setting. 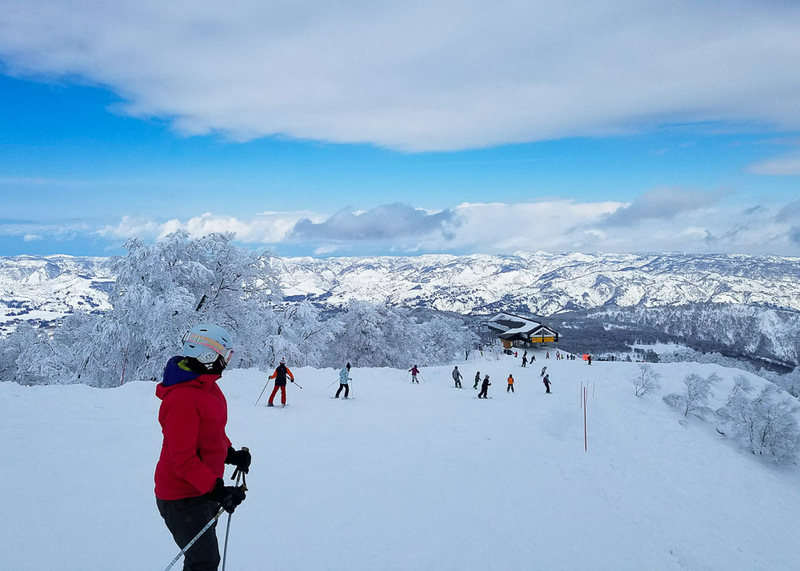 So if you’re looking to shred some japow as well as soak up Japanese culture, consider Nozawa Onsen for your next ski trip to Japan. 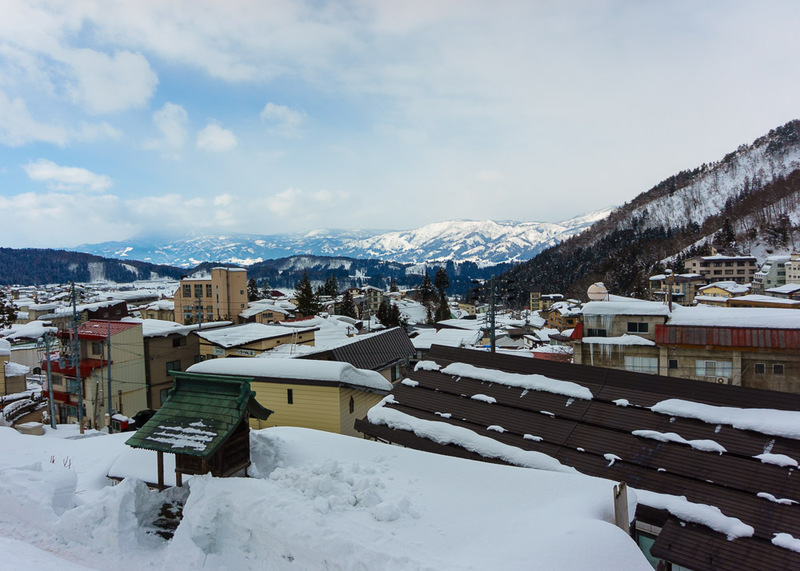 The compact town is nestled in a beautiful mountain setting and the abundance of onsens or soto-ku allow you to sample local Japanese culture moreso than in other ski areas around Japan. The village is centrally located in the Nagano Prefecture, which makes it a good home base to explore nearby attractions like the Zenkoji Temple and Snow Monkey Park. 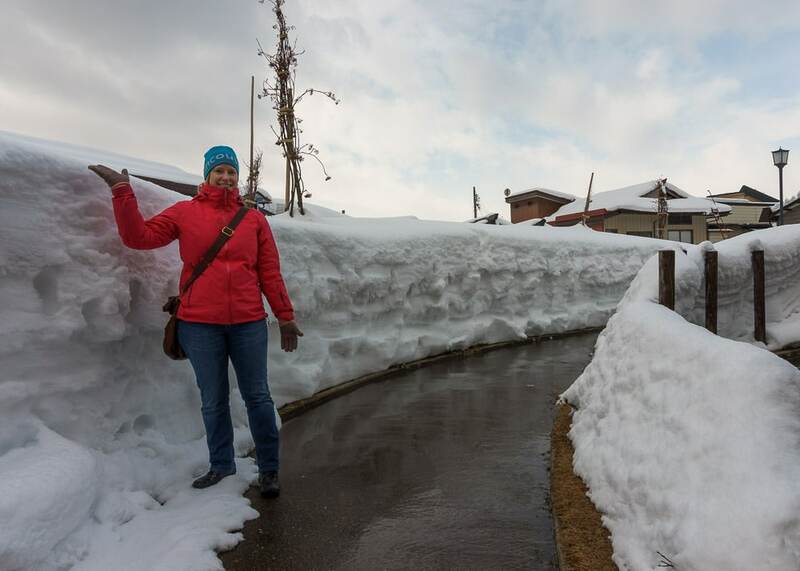 We will certainly not forget our time in Nozawa Onsen any time soon!